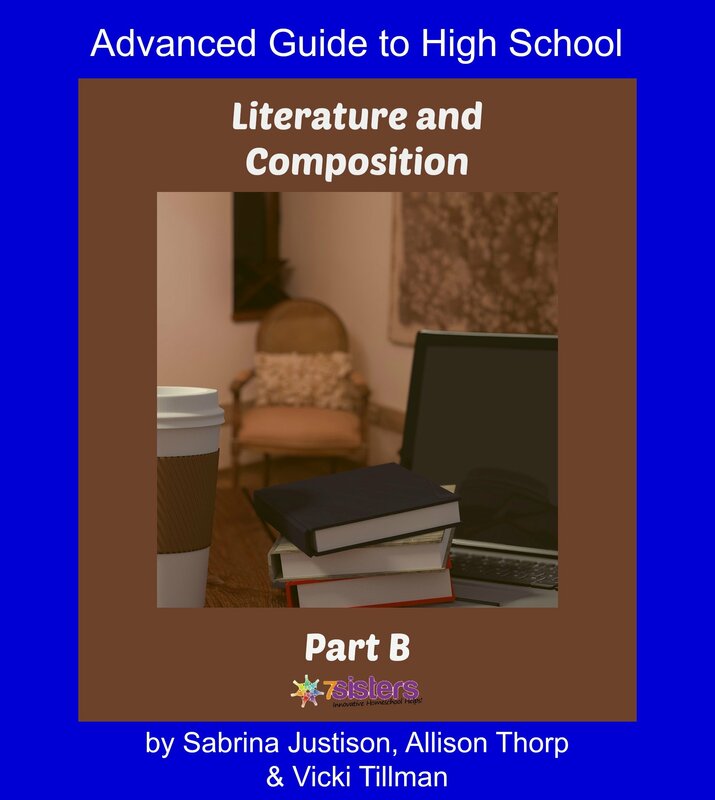 Advanced Guide to High School Literature & Composition: Part B is a one-semester guide through important Language Arts skills for the high school transcript. This downloadable etext is easily follows the first semester of Advanced Guide to Literature & Composition: Part A. Included in this curriculum are three composition guides and six literature guides (these are also found individually in the 7 Sisters store). *There are 2 Research Paper Writing Guides but only 1 should be chosen by your homeschool high schoolers. If they have completed Introductory and Intermediate Literature & Composition, they will have already experienced an APA and an MLA Research Paper Guide. This year they get to choose! NO busywork! NO wasted time doing useless time-filling paperwork! Advanced Guide to High School Literature & Composition: Part B is great for independent study OR use for co-ops and homeschool group classes. You can find the books you need to accompany the Literature guides in this resource at your local library, or if you’d like to order new or used copies of these classics, JUST CLICK HERE .